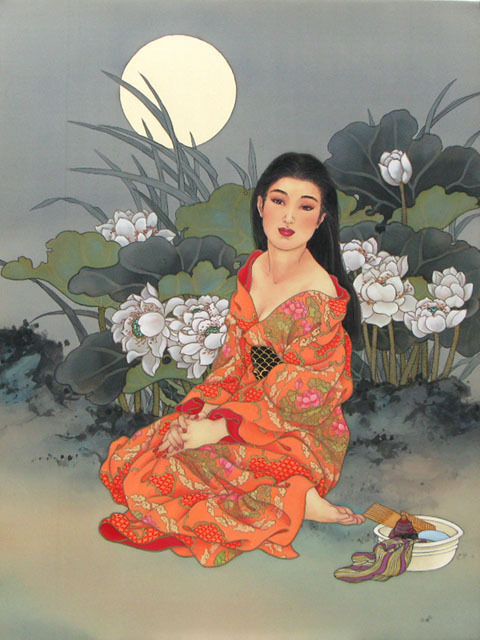 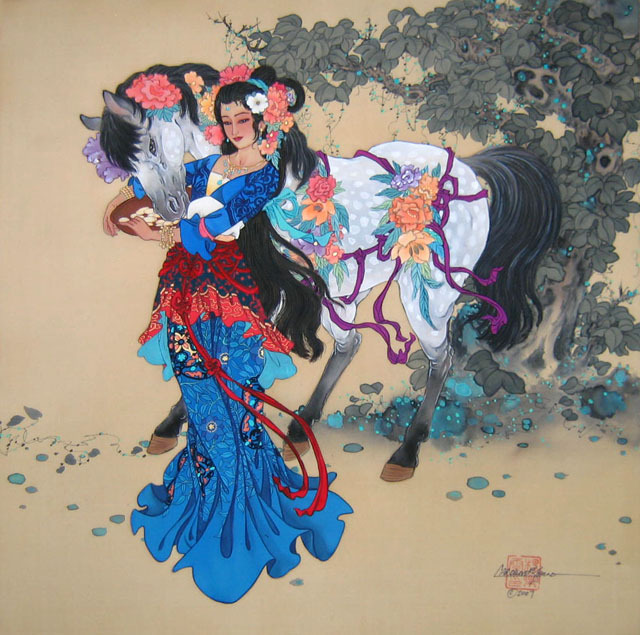 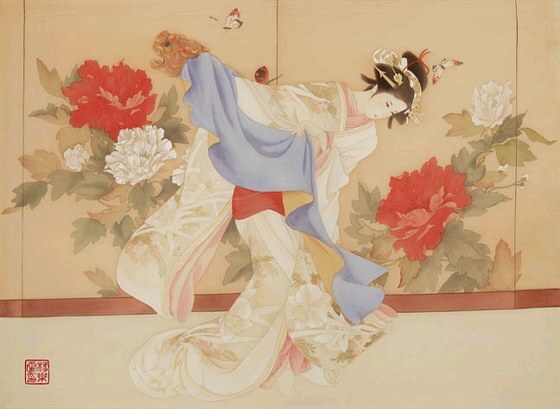 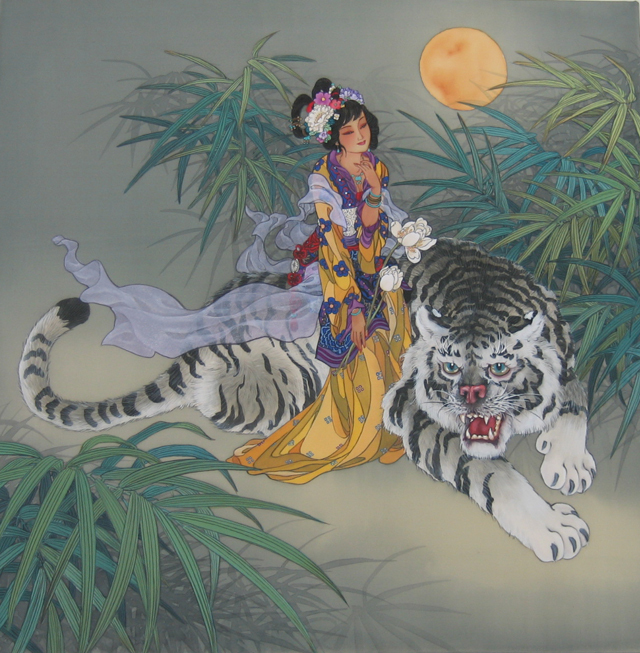 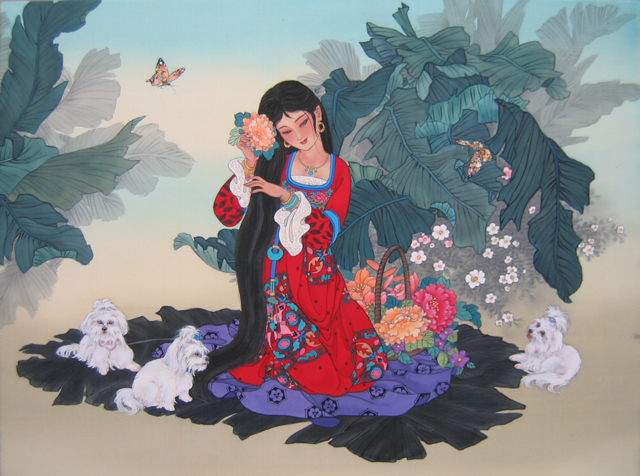 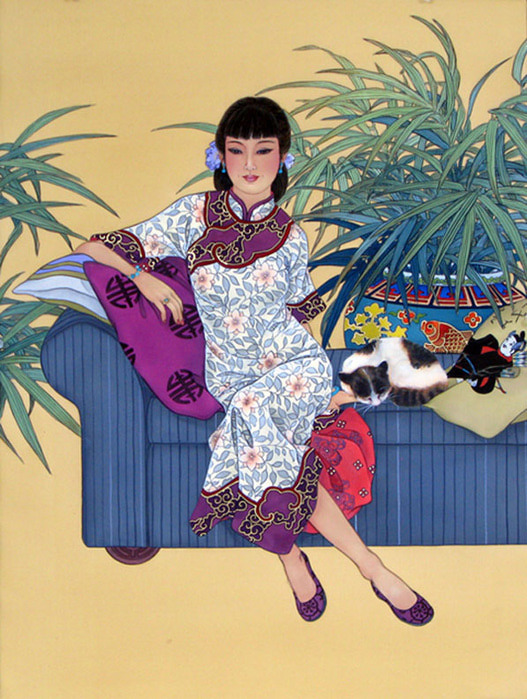 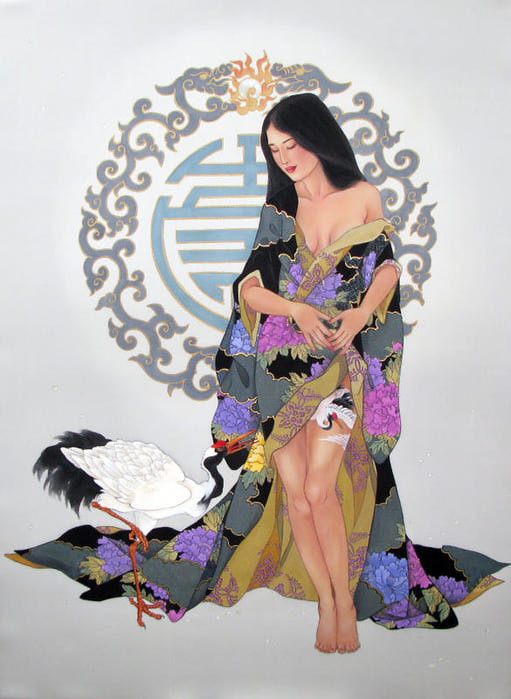 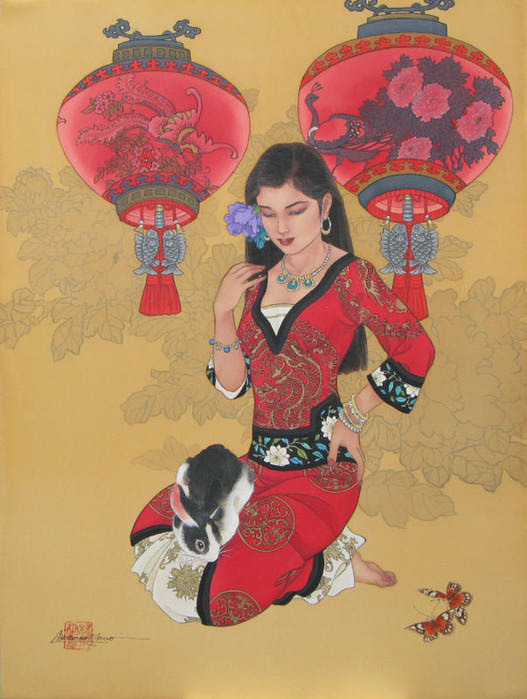 Eastern artist Caroline Young (Caroline Young), who was born in Hong Kong, who studied at the University of Hawaii, and now living in America draws a delicate paintings in Chinese style on the finest Chinese silk — is its author"s “trick”, for which chase collectors and connoisseurs of beauty both hemispheres. 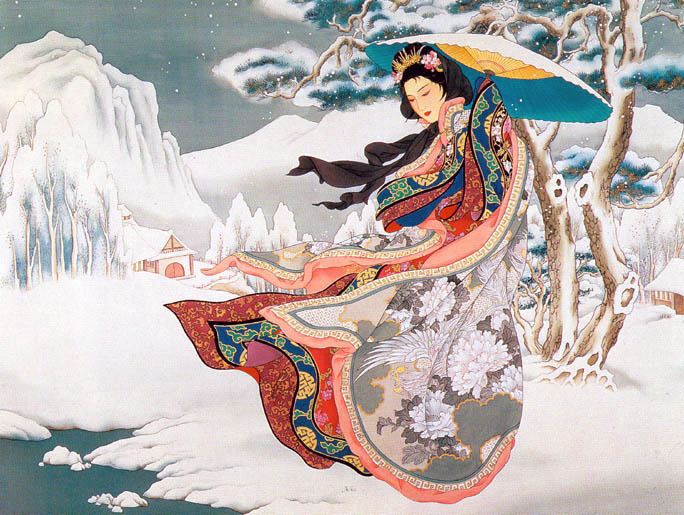 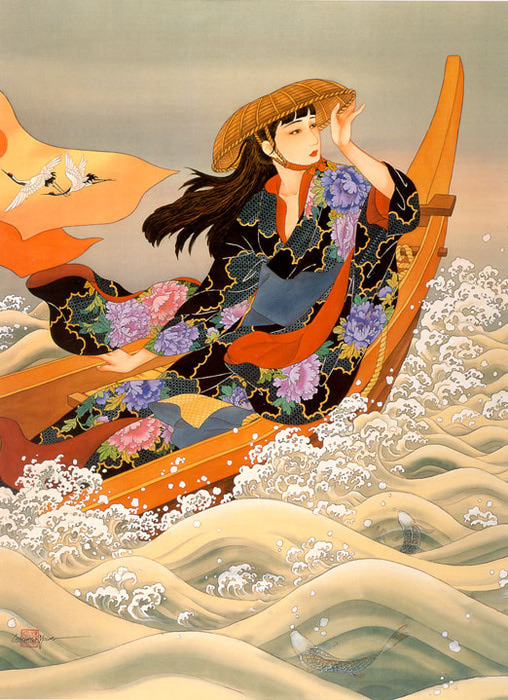 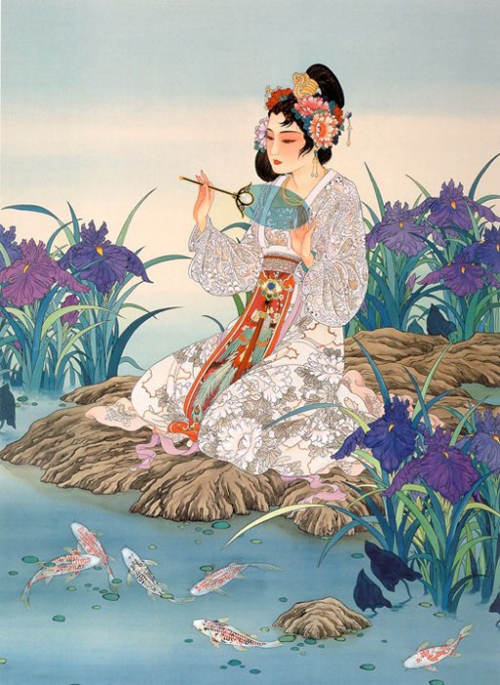 Initially Caroline young was fond of Japanese painting, however, to return to his roots helped her work the artist Lam Oi Char that changed her life Outlook and technique of painting. 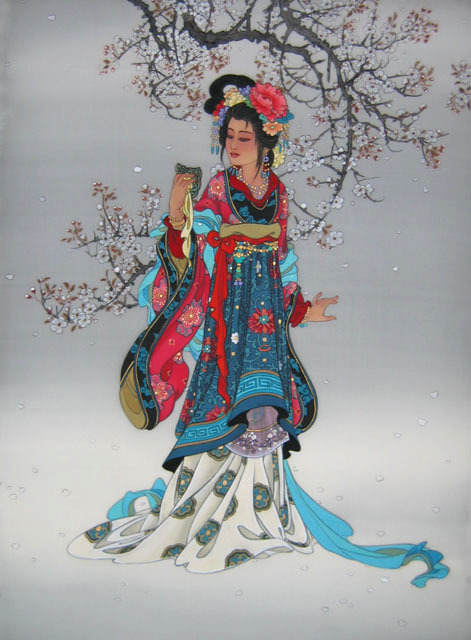 So for his delicate watercolors on silk, created by all the rules of classical Chinese painting “style”, Caroline is grateful to his mentor. 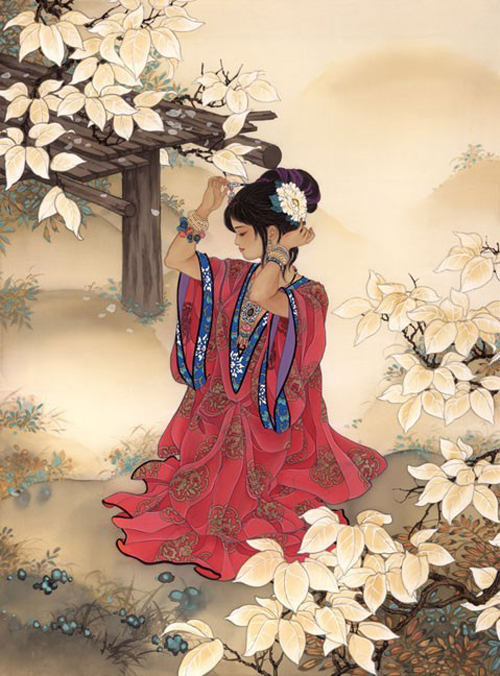 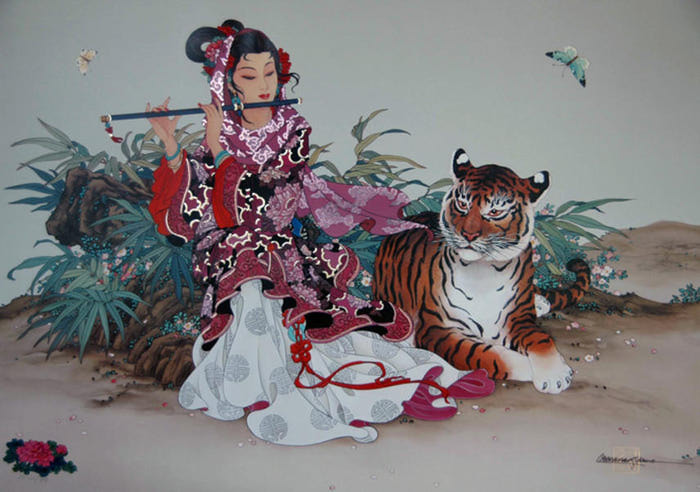 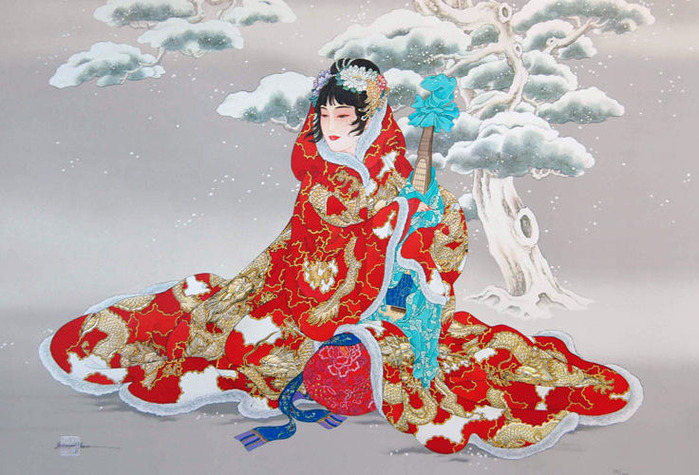 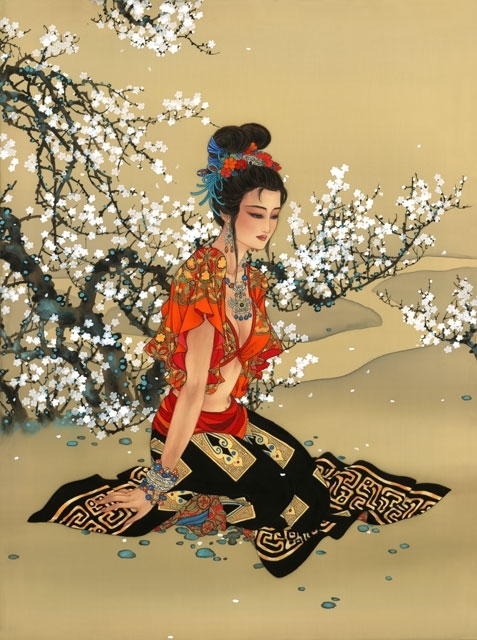 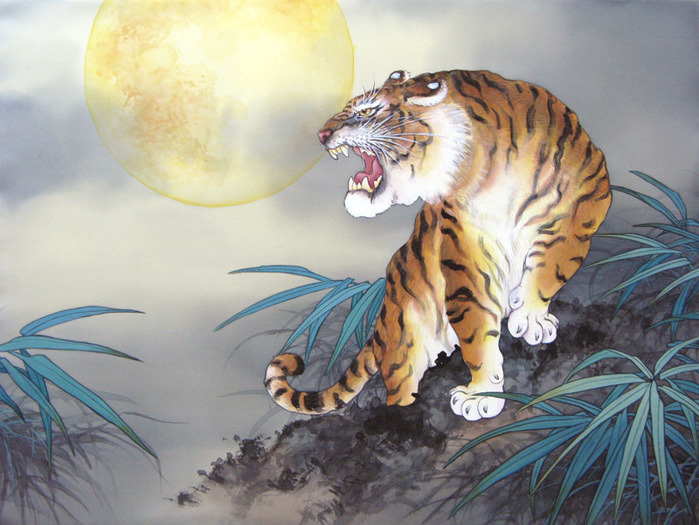 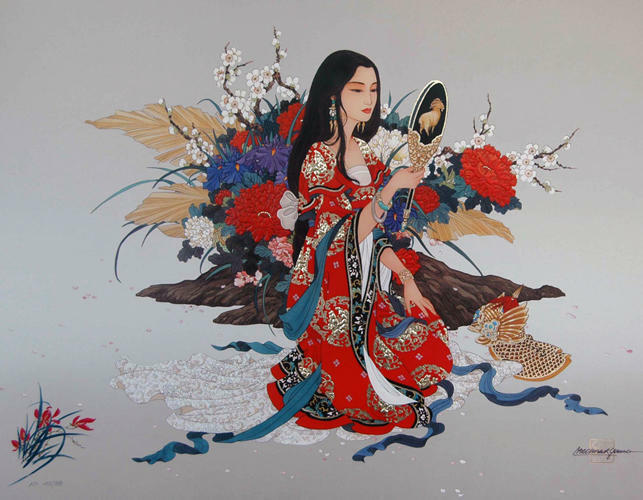 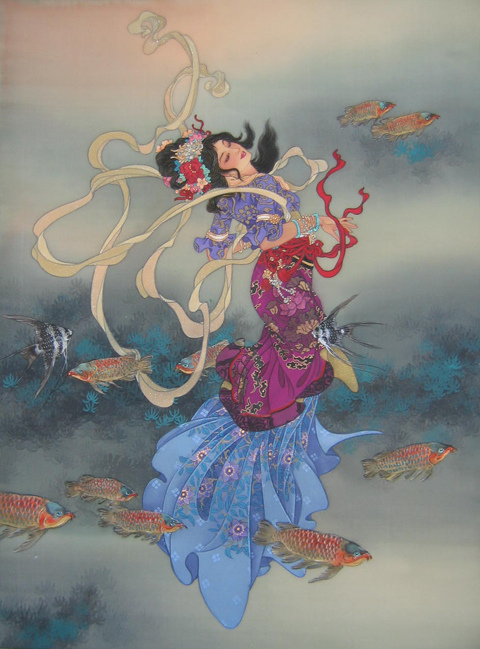 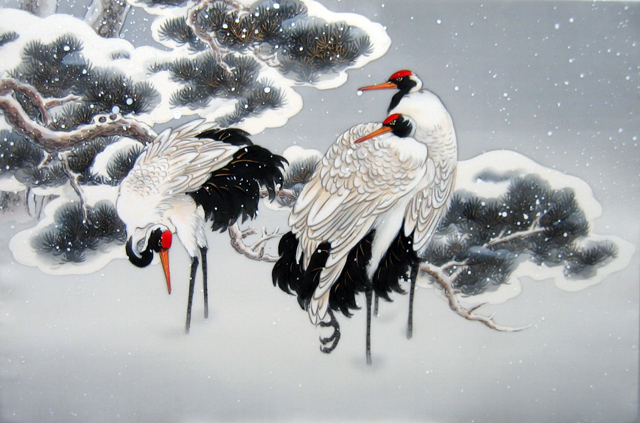 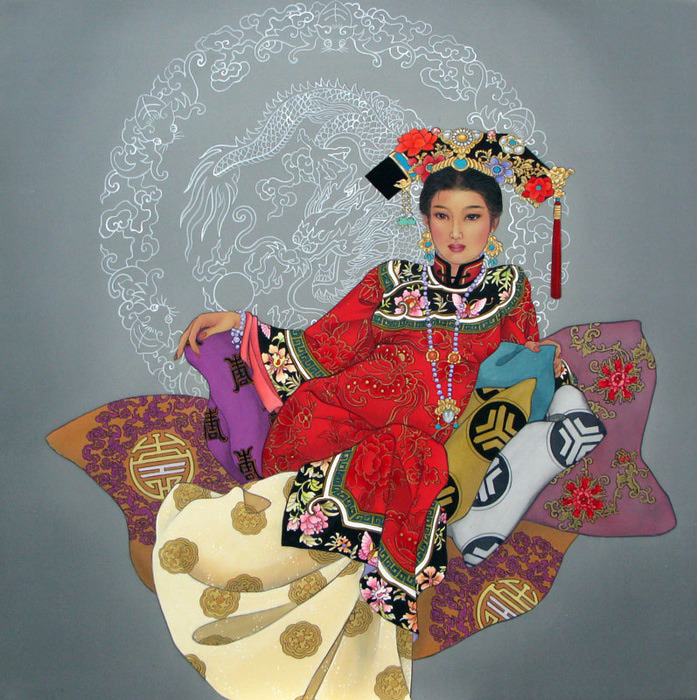 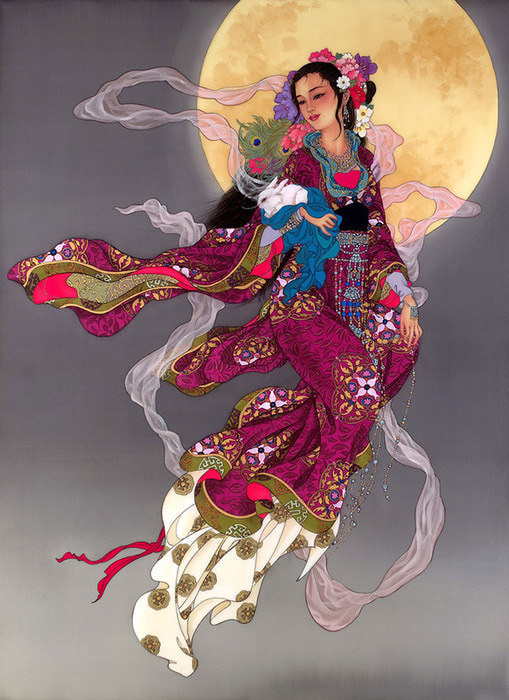 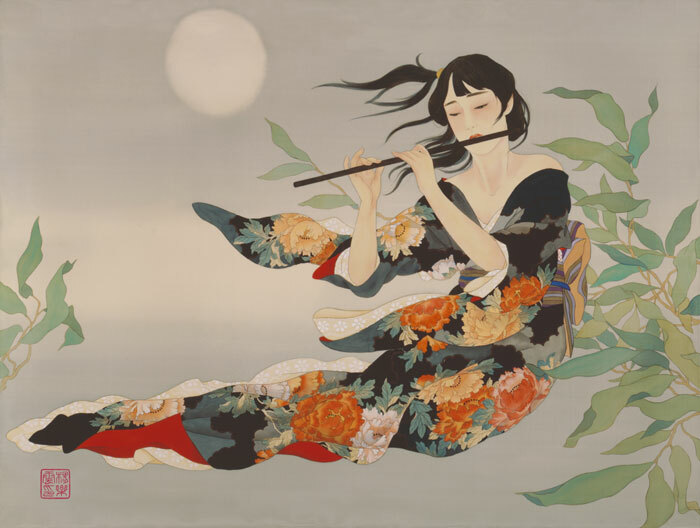 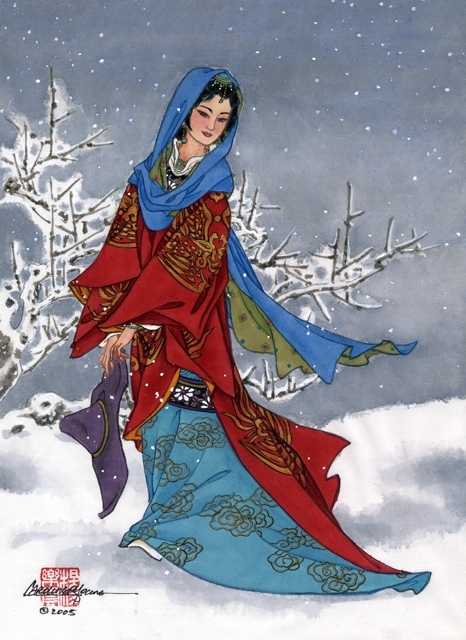 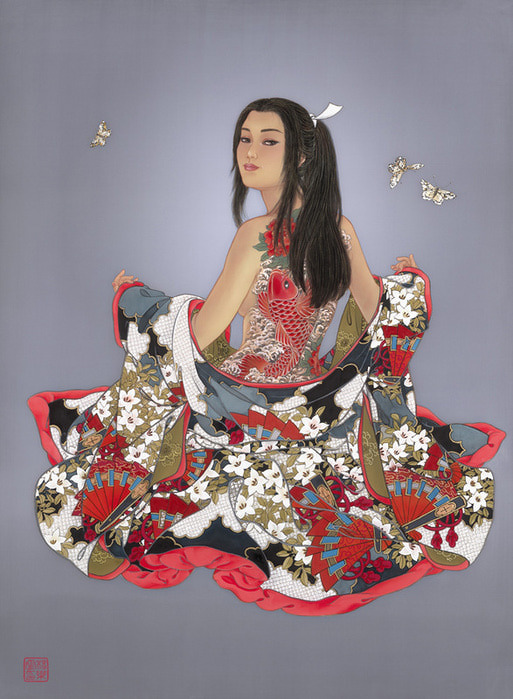 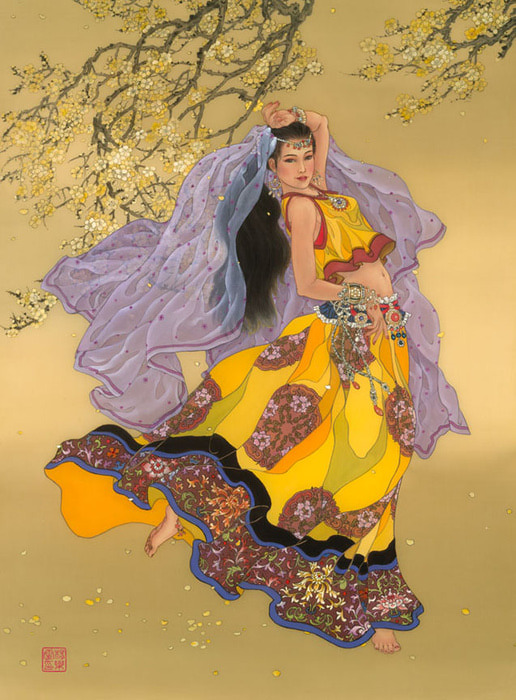 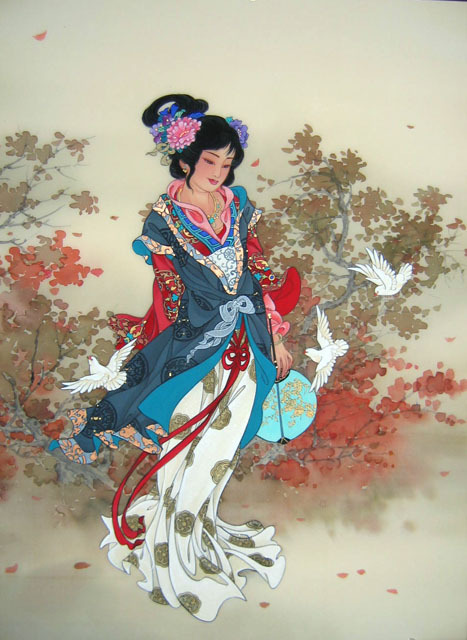 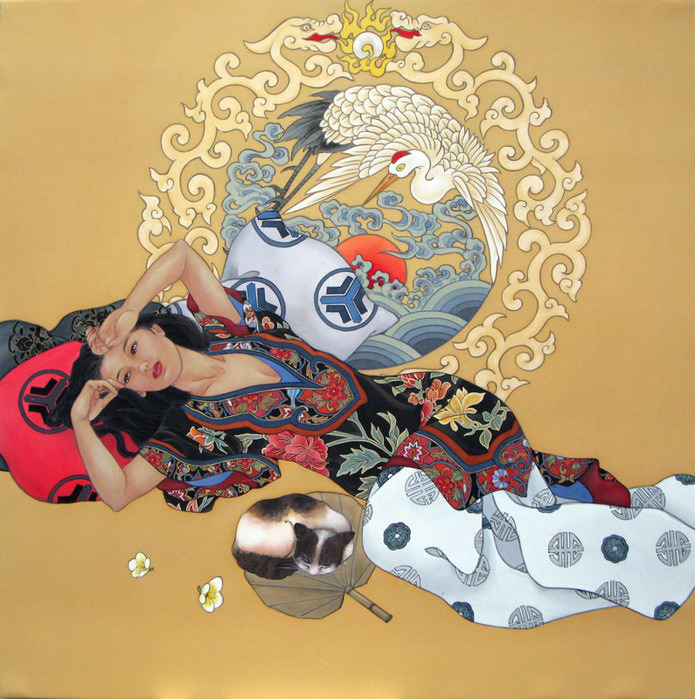 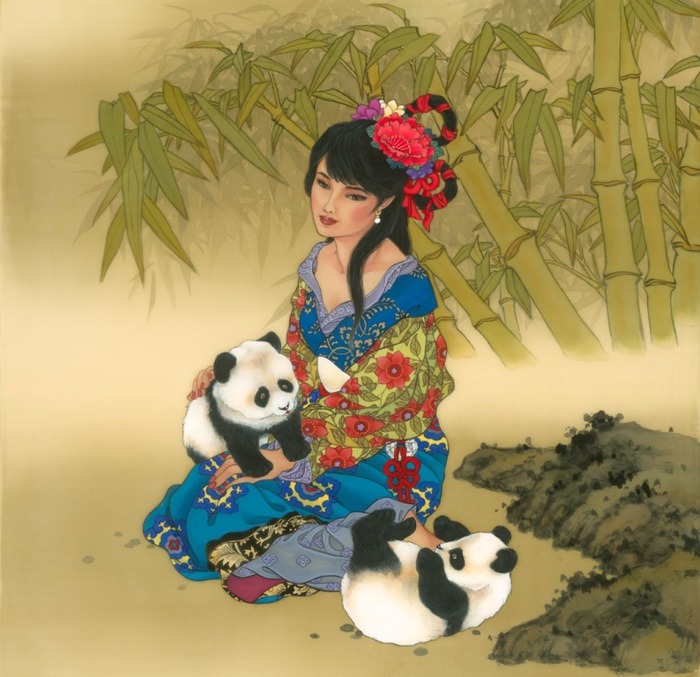 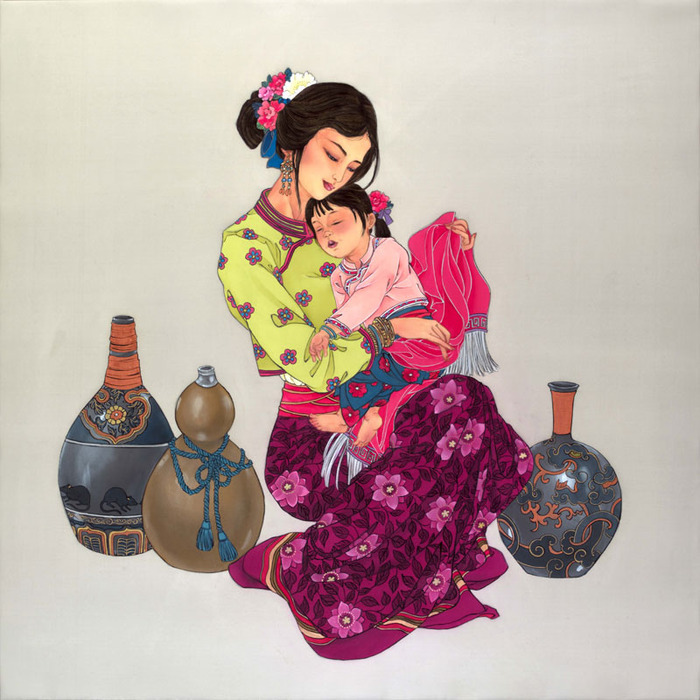 In her work, she uses Chinese watercolors, acrylic paint with the addition of a metal foil, gouache. 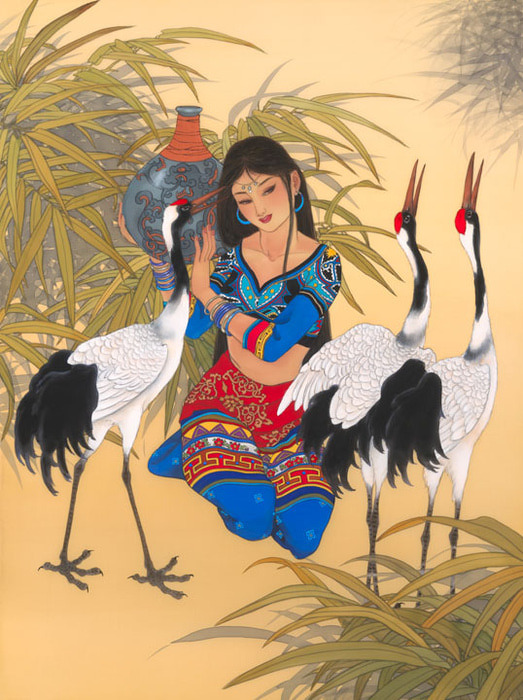 She mixes their own colors to achieve a unique and bright colors are not available in ready colors. 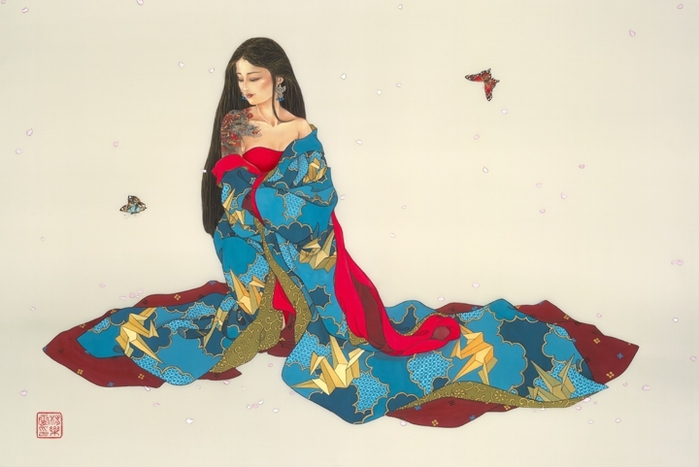 the girl a lot of stunning works, many of which are represented in galleries throughout the United States, and are on permanent display at the Bowers Museum in Santa-Ана, California and Asia-Тихоокеанского Museum in Pasadena, California. 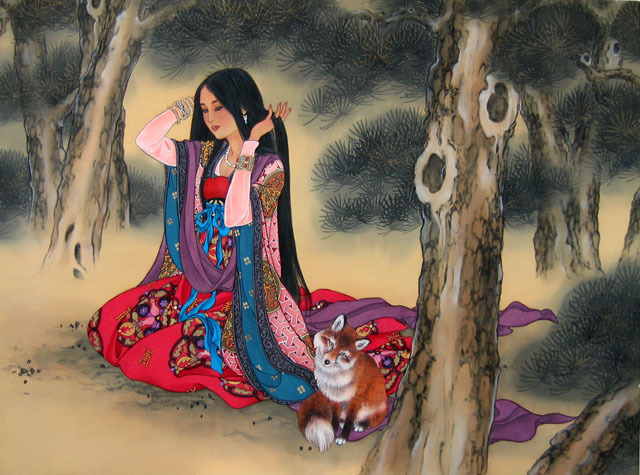 well-Known writer Larry V. Ledoux said of the person and work of Caroline: “Her work is soft, delicate and balanced. 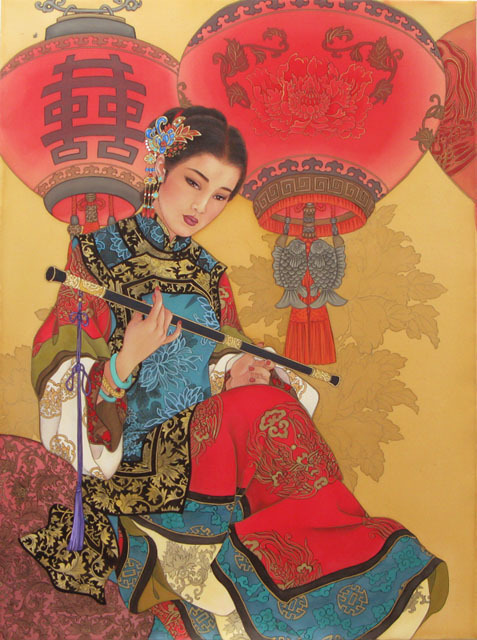 Just stunning They appeal to our hearts, helping them to feel the beauty, feel love for history, love for the culture that created people who lived before us”.